Yesterday, I dragged my friend Jane along for a photoshoot because I am trying to get that girl to start a blog (yes, she is really cute and has a great style). We went to Seabright which is just the beach next to the Santa Cruz Boardwalk beach, it's a little quieter and a little nicer. The sun was a perfect blend of soft and bright, the sand was golden, and the ocean was just beautiful. There was also a flock of seagulls hanging out! The location was spontaneous, and coincidentally I was carrying my seashell purse. Can we talk about this gem please? This is one of those things that make your jaw drops when you see it while opening up the new shipment at work. Gold, snakeskin-like texture, in a shape of a seashell??? I couldn't believe my eyes, this purse looks so vintage! Some people aren't too fond of it but I don't care I love it! And of course I had to match the gold with these awesome new glasses I got from ASOS that are completely gold (might be hard to tell from the photos). Lastly, how is everyone enjoying the new banner and layout? Let me know what you think! Black and white stripes crop top by Misope from GoJane. White pleated chiffon skirt from F21. Gold frame sunglasses from ASOS. 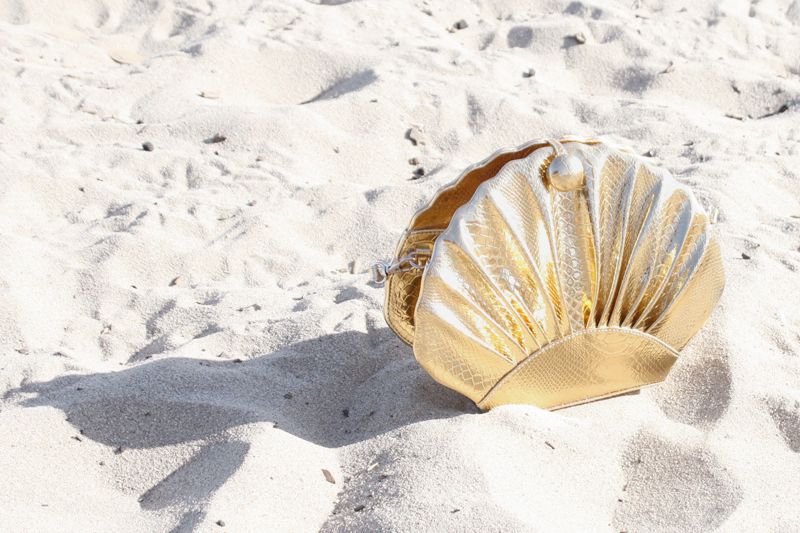 Gold seashell purse from my work Sway. Gold tipped black flats from F21. 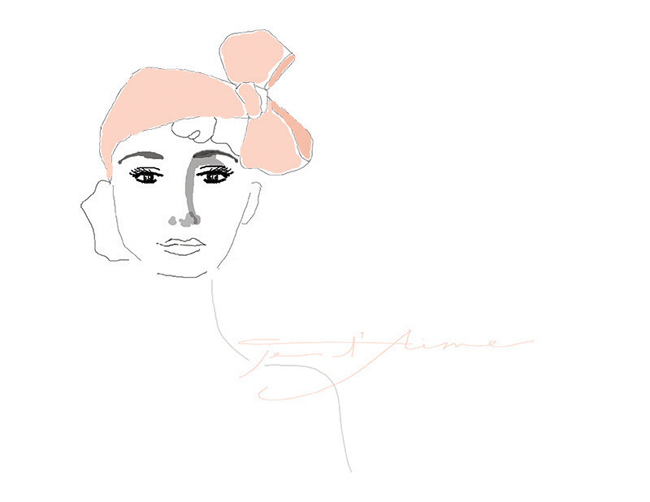 As you can tell, I have given my blog a makeover (still in progress)! 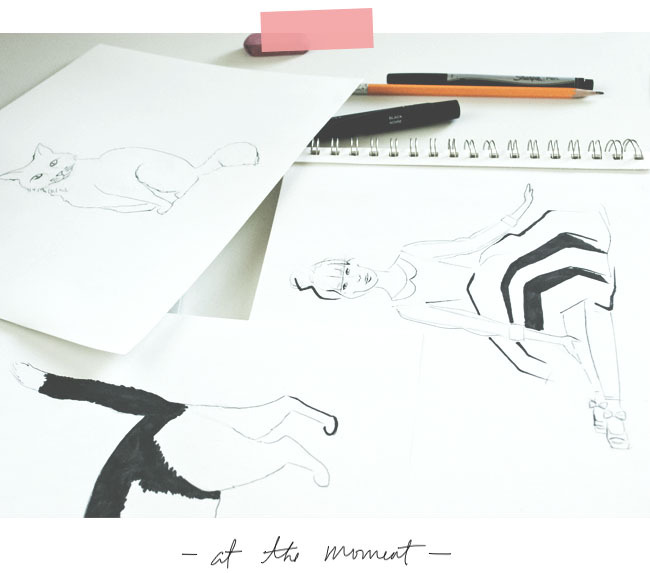 It's been almost a year since I started this blog so it's time for a fresh new look! 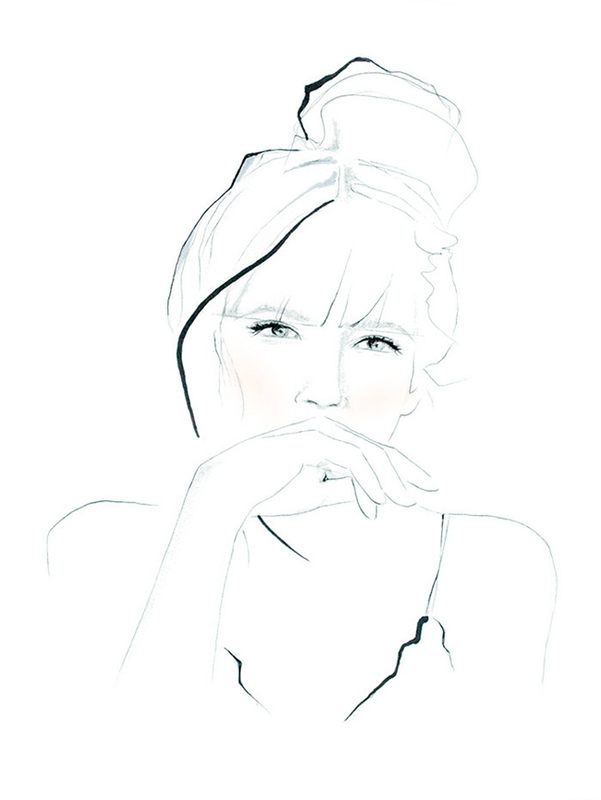 Although I am an artist myself and have a bachelor degree in Art Practice I never liked doing self portraits, therefore I teamed up with an amazing illustrator Danie Selby of Pasadya to create something special. We exchanged countless emails filled with images, sketches, and descriptive information the past few weeks so that we are able to create something that truly defines me as a person and as a fashion lover. Yes, you guessed it! The two cats are my cats Sushi and Ravi in real life, they are very dear to me so of course I had to include them in the illustration! Well, I think Danie did an excellent job! Hope you love it as much as I do! 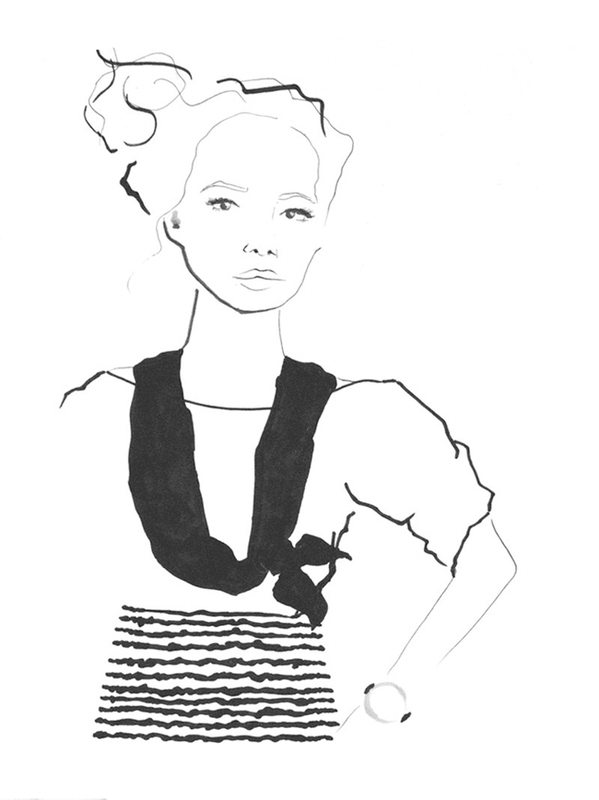 Lastly, check out Danie's Etsy shop where you can buy some amazing prints of her illustrations! Floral makes the world go round... I mean, who doesn't love floral? This darling little dress by Dahlia is one of my all time favorites. 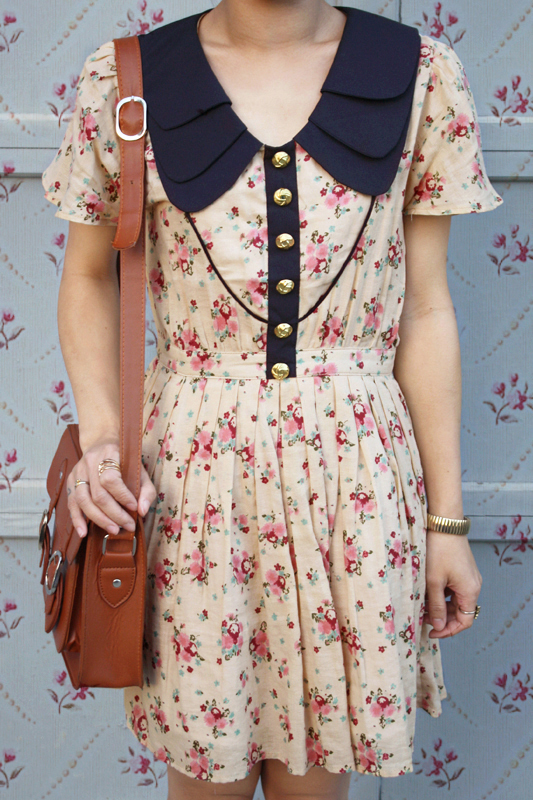 Lovely floral, girly shape, cute gold buttons, and amazing triple collar! Twisted my hair up in a bun, slipped on some Jeffrey Campbell loafers and called it a day! 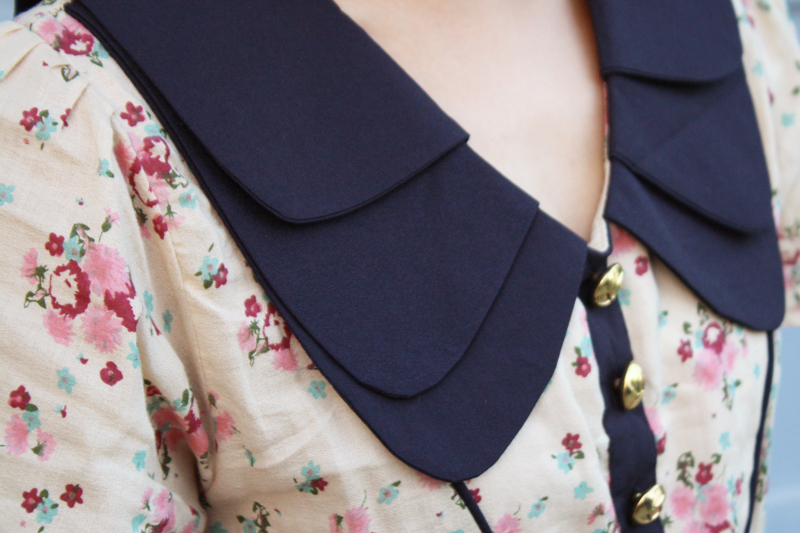 Triple collar floral dress by Dahlia. 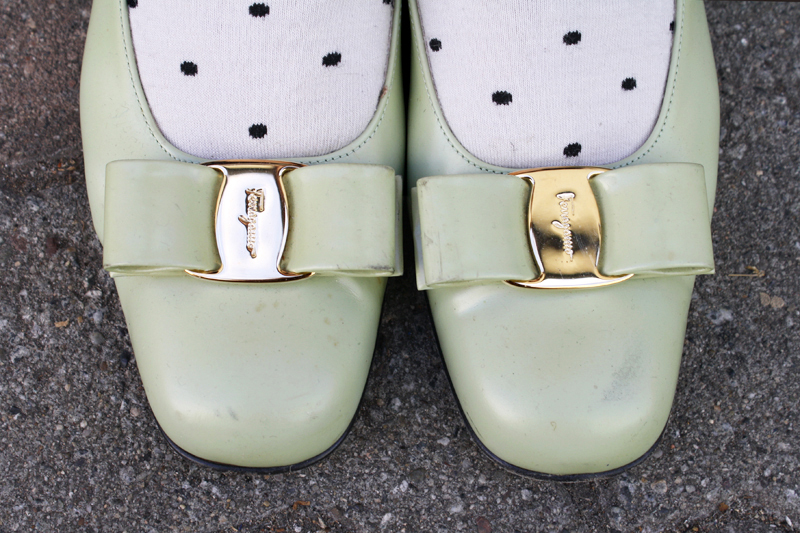 College Loafers by Jeffrey Campbell from Eilatan. I am very excited to present to you my first post featuring my newest sponsor BB Dakota! I have always been drawn to all the beautiful patterns and textures seasons after seasons; their Fall 2012 Collection sure does not disappoint. The first piece I am sharing with you is the Keanu Sioux cardigan. 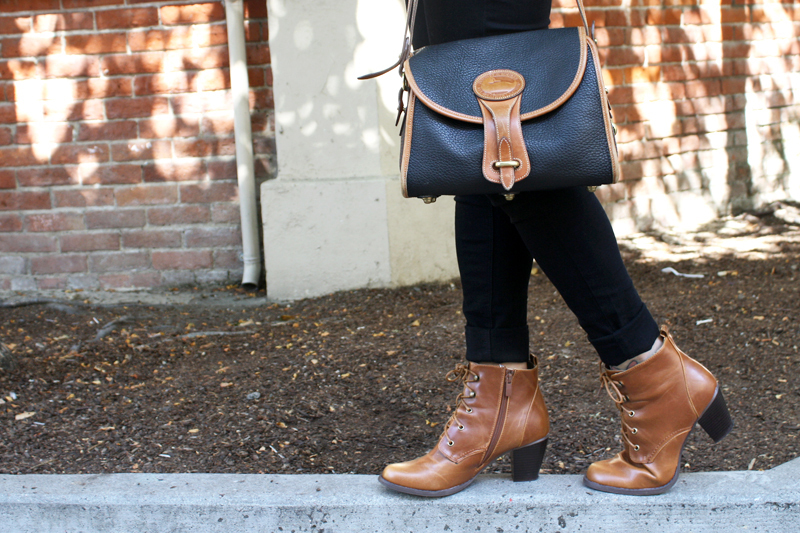 I love the brick and oatmeal color combination which goes perfectly with my burgundy boots and handbag. It also has such an interesting shape that creates a nice draping effect and gives that extra volume. Oh, and did I mention that it is super cozy? 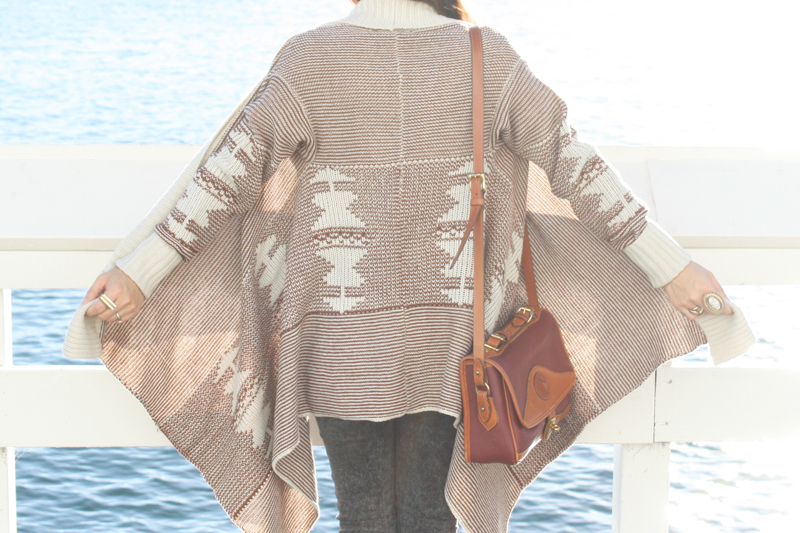 It sure is everything you want in a cardigan! Keanu Sioux cardigan c/o BB Dakota. 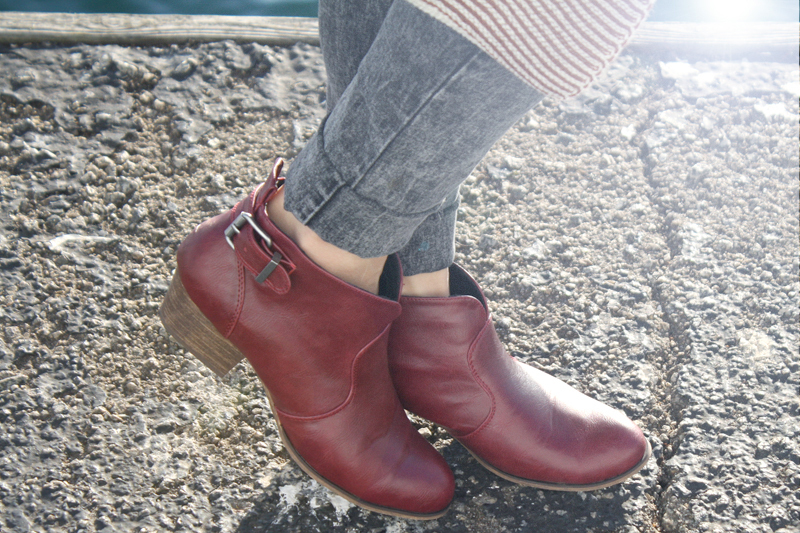 Burgundy ankle boots by Chelsea Crew from my work Sway. Vintage two tone leather handbag by Dooney & Bourke from Ebay. 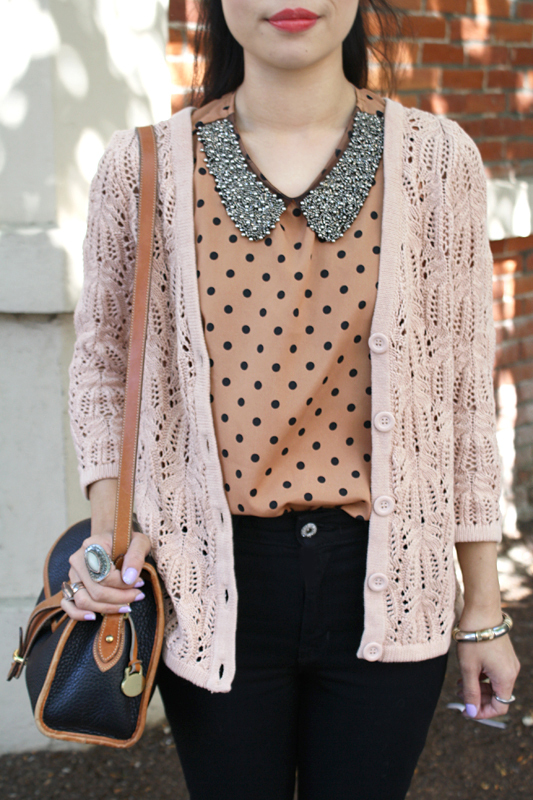 Look at the knit cardigan! 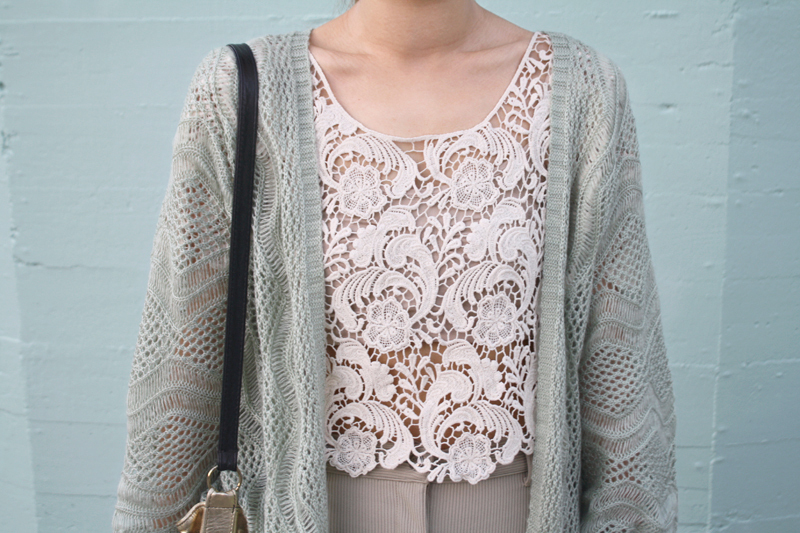 Look at the crochet top! Look at the metallic studded bag! 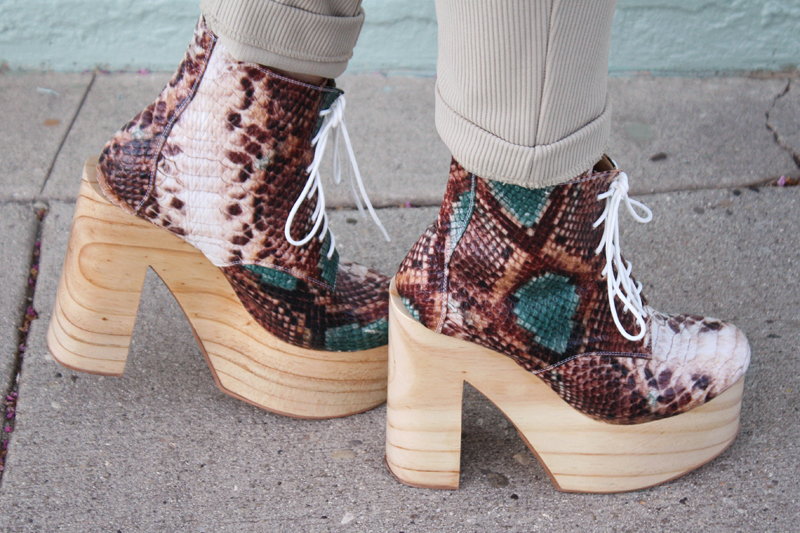 Look at those snakeskin platform shoes! Are you overwhelmed by all the details? Sometimes I go a little crazy and mix so many things that don't necessarily go with one another together, but somehow it just works! Let's start with the cardigan, shall we? I got it from work just a couple days ago, the moment I saw it I tried it on and did not want to take it off! 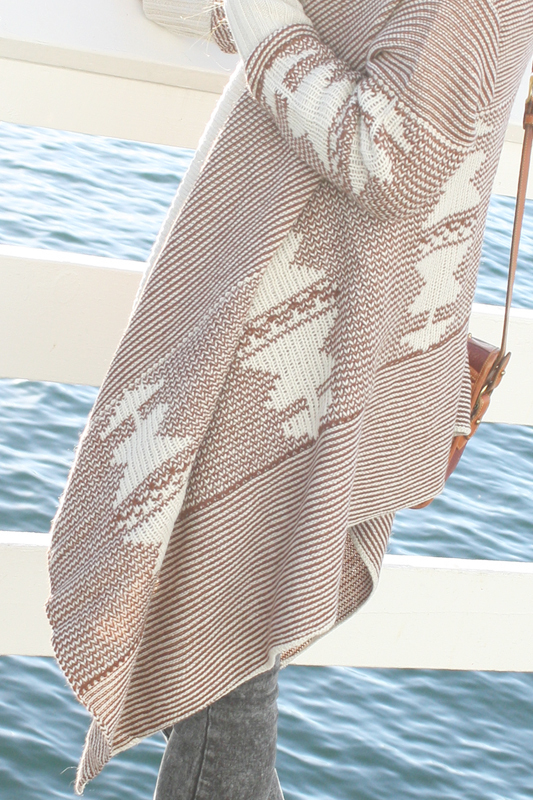 I just love the soft delicate knit and the cocoon fit! 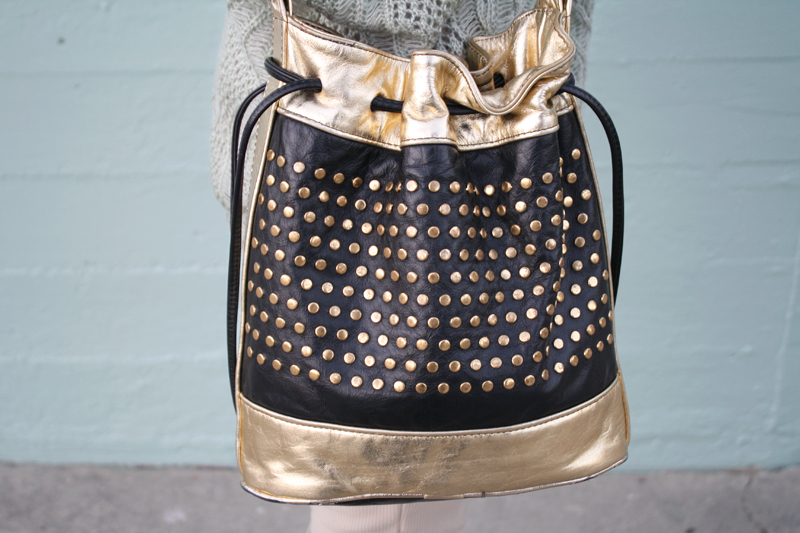 As for the bag, I mean, how do you say no to vintage, genuine leather, metallic gold, and studs? Each of those things is amazing enough on its own, but all together combined is just... wow, I'm speechless! Lastly, I can't seem to stop wearing these red snake Helga platforms by Deandri. I know I just posted them not to long ago, but they are just too good! 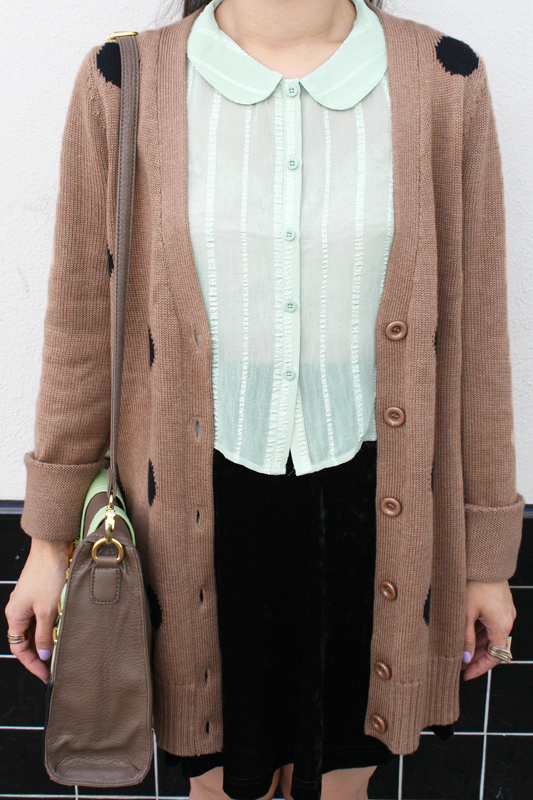 Mint cocoon knit cardigan by Red Berry from my work Sway. Crochet crop top from F21. Vintage metallic studded leather bag from Reboot Vintage. Red snake Helga platforms by Deandri from Karmaloop. I really mean it when I say I like to match! Do you believe me now? I will forever wear my avocado Salvatore Ferragamo flats with this purse, they are so perfectly matching they are inseparable! I made this preppy outfit a little more fun by playing with matching yet mismatching dots... big non-uniform dots on the cardigan and tiny contrasting black and white dots on the socks. Life is too stressful and serious to dress properly sometimes, so why not goof around a little with your wardrobe! 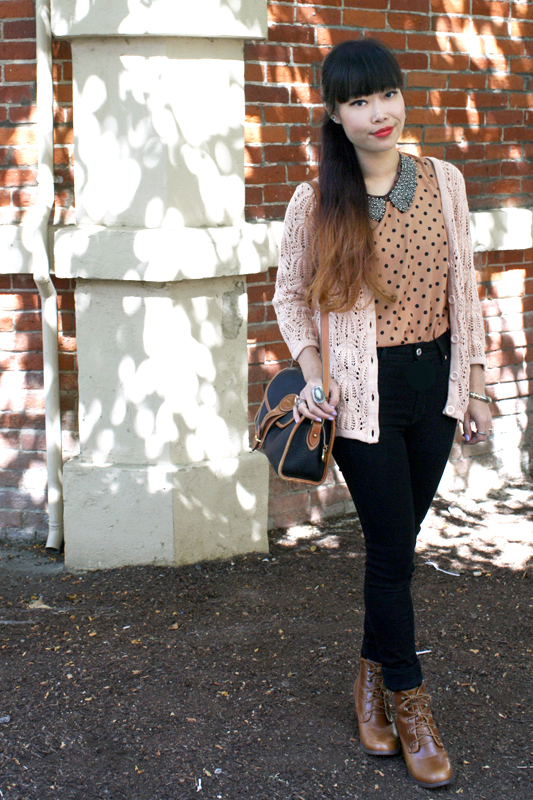 Polkadots cardigan by Teaspoon from my work Sway. 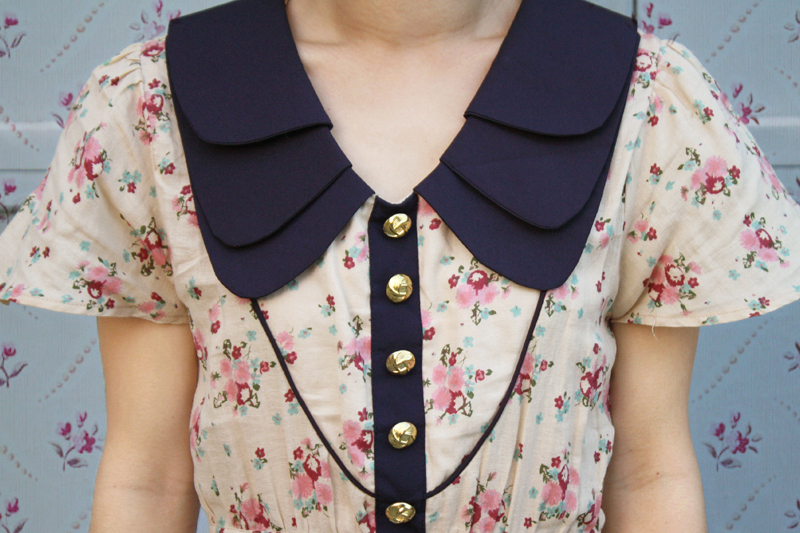 Peter pan collar top from F21. High waisted velvet skirt from F21. Two tone handbag by Nila Anthony c/o Lulu's. Polkadots ruffles socks stolen from my mom. Vintage bow flats by Salvatore Ferragamo from Etsy. Even my iced green tea latte matches! Took advantage of the bright sunlight shining through the trees, creating specks of light from the shadows... how gorgeous! The gloomy weather in the morning tricked me into wearing this outfit, it's hard to tell sometimes whether the day is going to warm up or stay cool. It might look like a cute outfit, but it was nevertheless quite uncomfortably warm. So many fancy collars popping up everywhere lately, but I don't mind, not one bit! 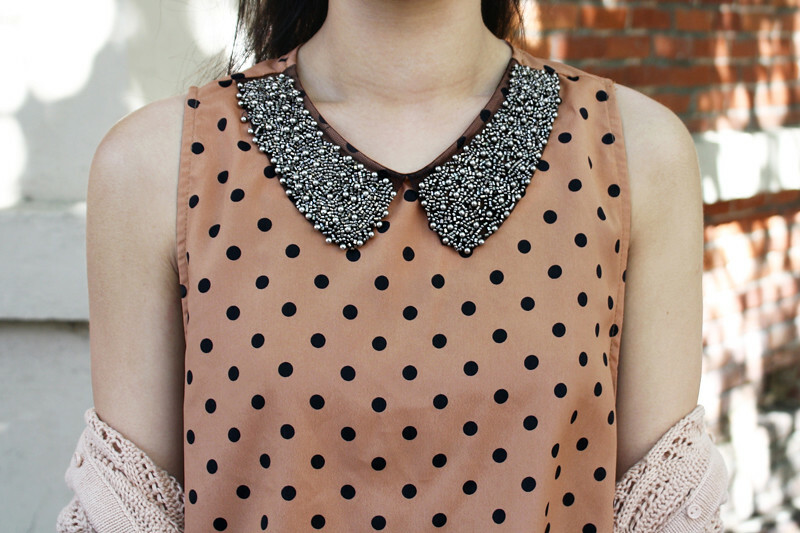 I absolutely adore this little polkadots top with heavily beaded collar! 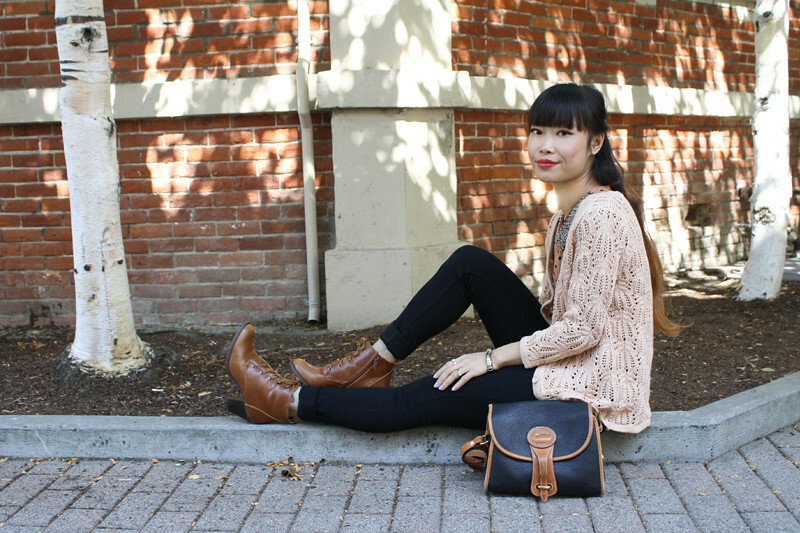 I paired it with black high waisted jeans, pointelle knit cardigan, and leather booties! 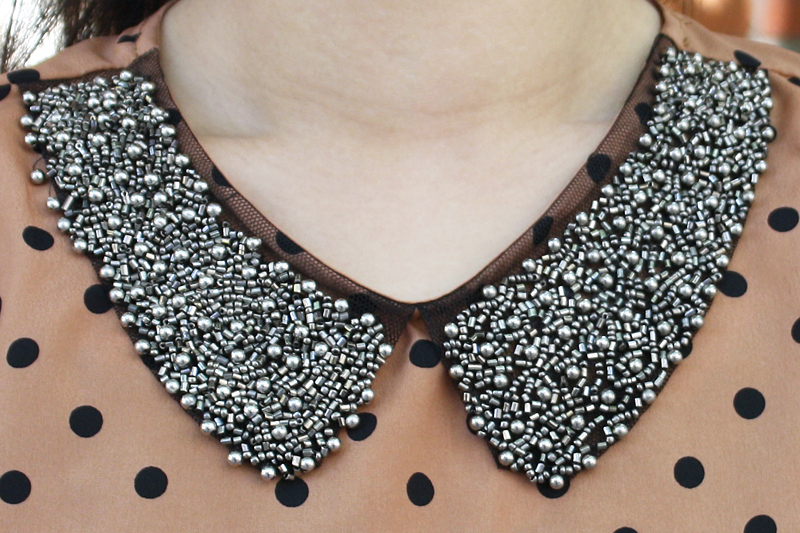 Beaded collar polkadots top by Audrey 3+1 from my work Sway. High waisted jeans by Just USA from my work Sway. 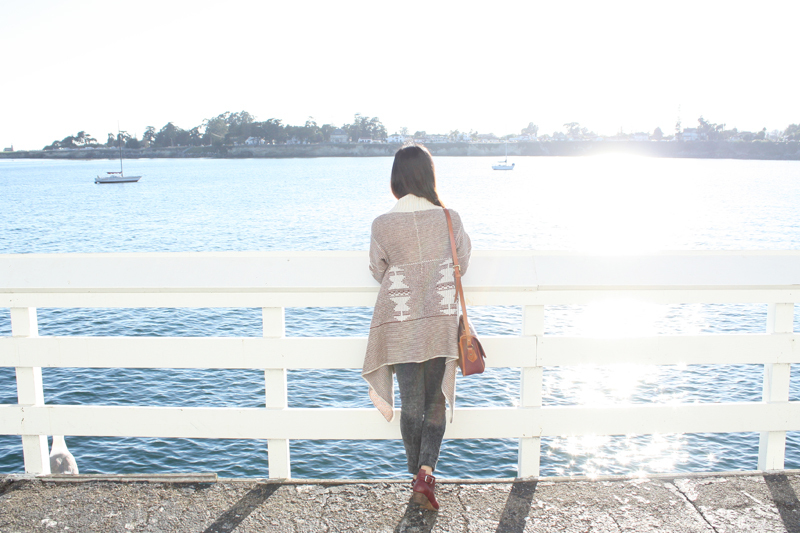 Pointelle knit cardigan from F21. 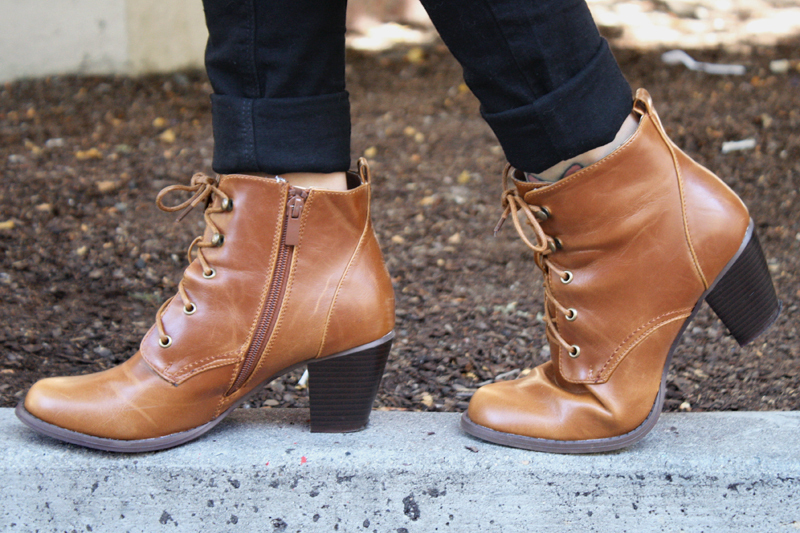 Brown leather booties by De Blossom from my work Sway.